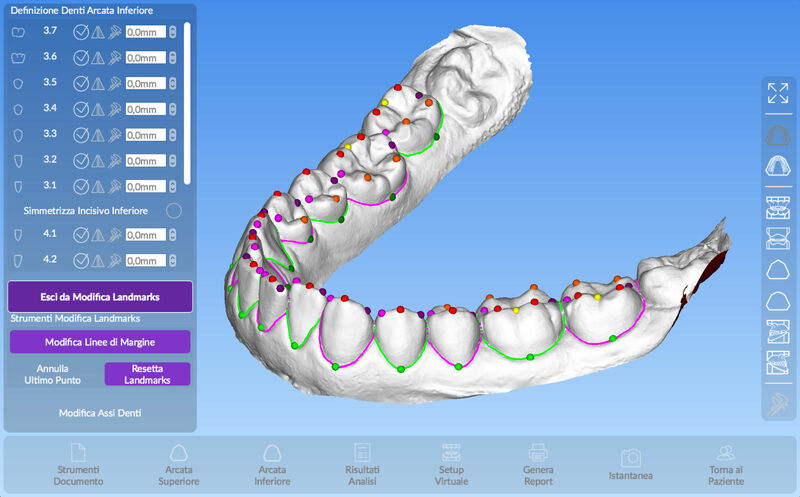 CephBear is a diagnostic process support software in the daily work of the orthodontist, developed by 3DBears. From managing patient data to generating reports, every aspect of the analysis work is simple, fast and intuitive. CephBear consists of two analysis modules, 2D and 3D. 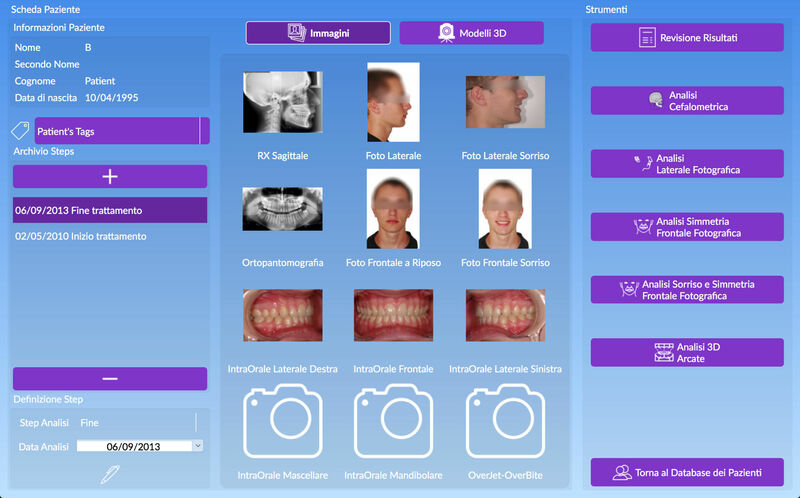 The 2D module provides the main customizable cephalometric Analyses, the frontal and sagittal soft tissue photographic Analyses and the Smile Analysis. 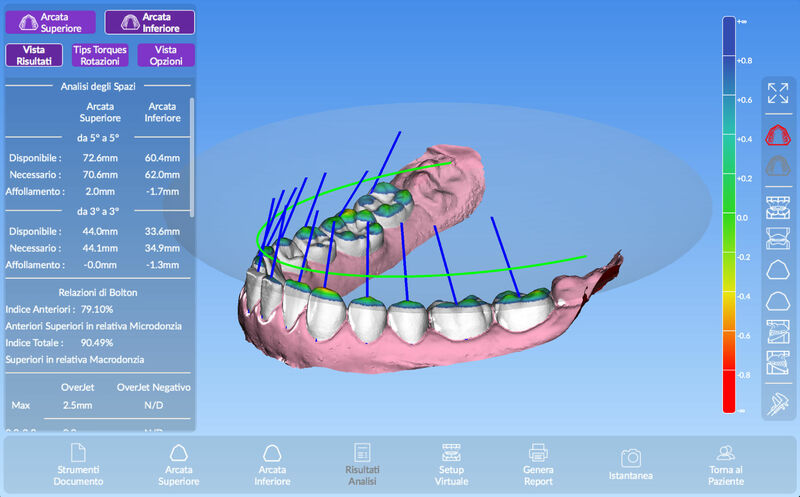 The 3D module analyzes the STL models of the jaws and, thanks to the virtual diagnostic setup, allows to simulate and evaluate the possible orthodontic treatments. 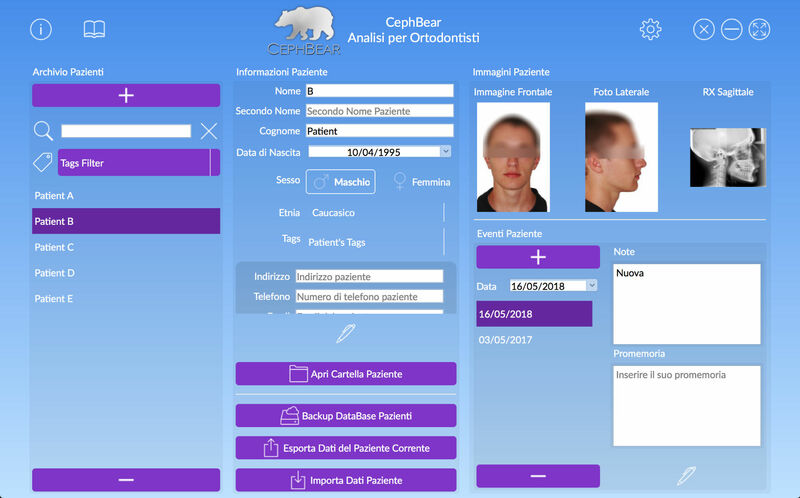 Finally, CephBear provides the management of the Clinical Diary where the dentist can quickly access to consult each result of analysis or photographs and introduce exportable annotations in the reports. Analysis simple and assisted, for a precise and fast execution in few minutes. Available for macOS and Microsoft Windows. Minimum Version OSX 10.7 or Windows 7. Cephalometric analysis according to the principal methodologies: Tweed, Steiner, Ricketts, MBT, ABO, McNamara, Jarabak, Giannì, Epker & Fish. Evaluation of shape and position of the smile in the face’s context. Frontal and lateral photographic analysis. 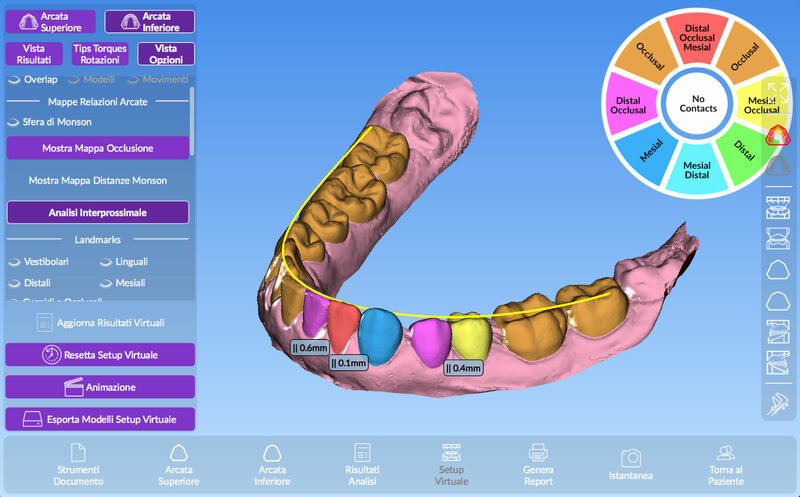 Analysis of the 3D STL models of the dental arches to evaluate shape, spaces, and alignment. 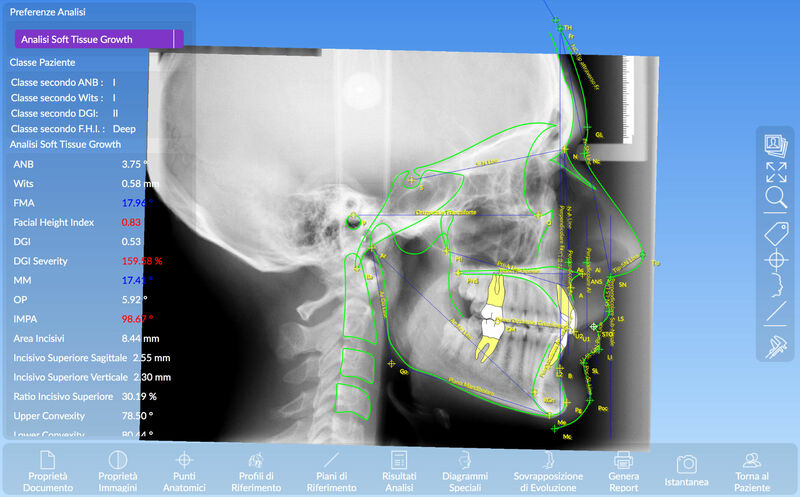 Simulation of orthodontic treatment by virtual movements or extractions, with automatic reassessment of shape, crowding and inter-proximal spaces. 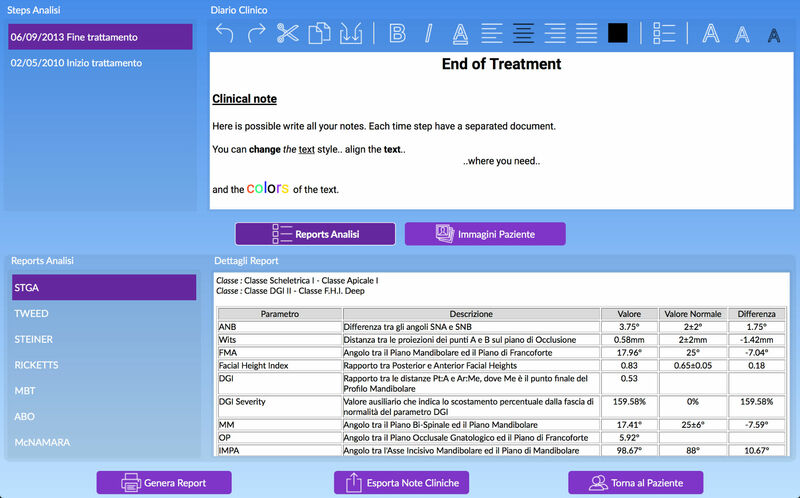 Management of clinical annotations and review of all patient results and photos. Classification of patients with customizable tags to simplify their search. Automatic generation of Reports with pictures and annotations. Backup management of patients on external disk or dedicated server. 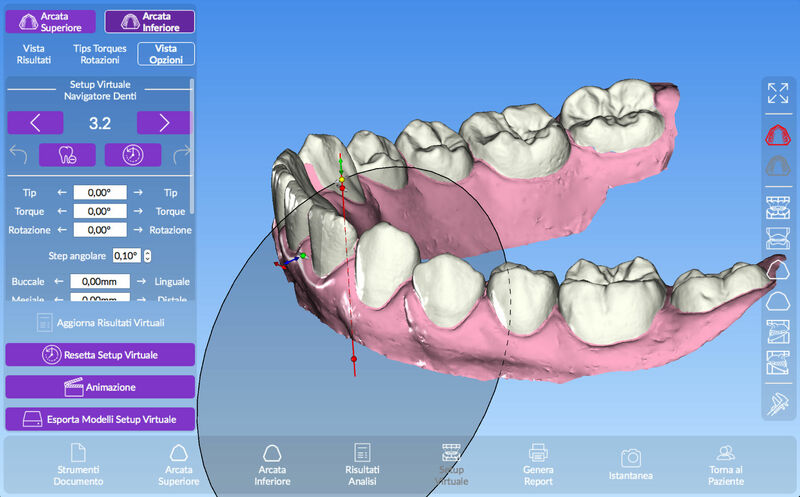 Born from a long experience in the Software Development and Orthodontics fields, 3DBears is a young company that develops and promotes innovative software and analysis methodologies for the Orthodontic field. 3DBears with its products has the target to provide to clinicians tools with accurate and fast methods in an environment easy to use, to make a comprehensive analysis in support of the diagnostic process and of the definition of subsequent therapy, adding to the more traditional results the usage of new methodologies and new non-invasive technologies, such as the three-dimensional acquisitions with optical scanners of dental arches and faces of the patients. © 2018 3DBears. All Right Reserved.